With Valentine’s Day approaching, have you decided how you are going to celebrate? If you’re planning on having a romantic evening in, look no further than our romantic valentines’ menu. We love this recipe from All Recipes, for a tasty Cheese Fondue. Share this lovely dish with your partner for a romantic evening. Why not switch up what you have for dipping into your cheese? Try; bread, bacon, croutons or even apple. Recreate the classic Disney Lady and the Tramp kiss with this Spaghetti and Meatballs recipe from Food Network. An easy and tasty recipe that is sure to satisfy everyone. Still room for more? These romantic Valentine’s M&M Cookies should hit the spot. Check out the recipe from Dessert For Two, to put the finishing touch to your evening in. What’s a celebratory dinner without your favourite tipple!? If you fancy something, well fancy, why not give this Forest Fruit Bellini recipe from Tesco Real Food a go, to celebrate in style this Valentine’s Day. 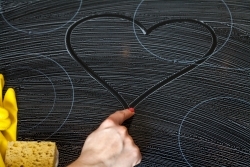 Share your favourite romantic recipes with us on Facebook. Happy Valentine’s Day!